Due to a short notice road closure by Sunderland City Council, there will be a diversion in place for Red Arrows X1 on 7 and 8 August. Northbound buses will unable to run direct along the Washington Highway and will need to be diverted along Bonemill Lane, via Fatfield Bridge and Station Road to Shiney Row. 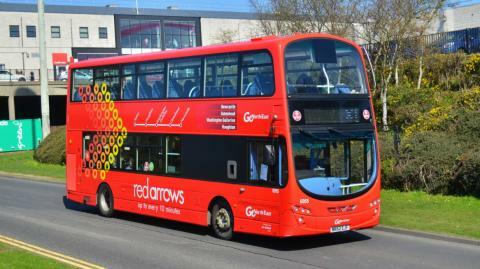 Due to the low bridge in the area, single deck buses will have to be used to keep delays down to a minimum and will not have the standard features of normal Red Arrows buses.